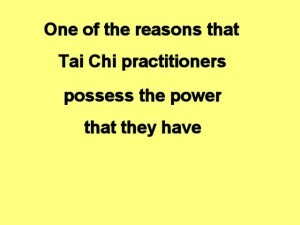 The Tai Chi form is practiced at a slow speed compared to the forms of other kung fu styles. 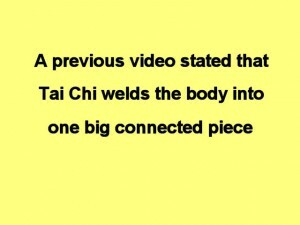 This video provides one reason why Tai Chi is done slowly. A web page duplicate of the video is provided next for those who prefer to read and for more leisurely study. 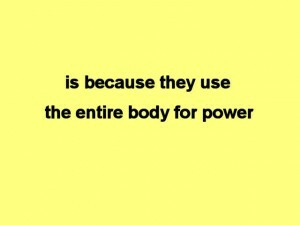 Many people use their body as if it is separate parts. 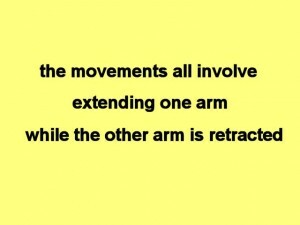 These people behave as if the arms, legs, torso and head are all separated from each other and work independently of each other. 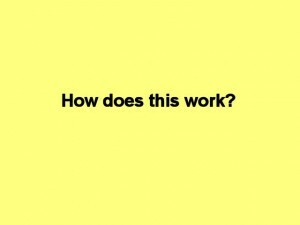 This picture shows the right arm of a person extended towards another human being. 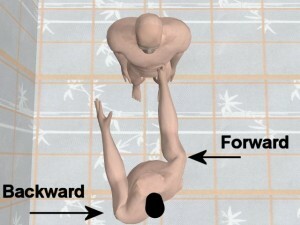 The person with the extended arm will be treated as if he uses his body as separate parts. 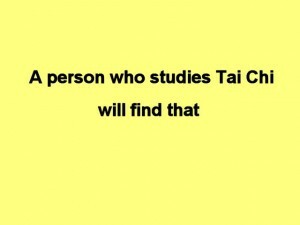 If this person were to punch the other person he would use only his arm to hit the person. 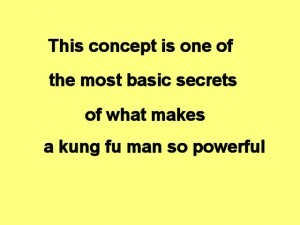 The rest of the body stays where it is and does not contribute any force to the punch. Here is a picture of the back of a human being. When the back is welded into one piece it behaves like a triangular shape as shown by the lines. This triangle can rotate about the spine. 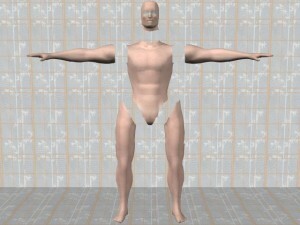 For the next part of the demonstration, only the torso and the arms are shown. 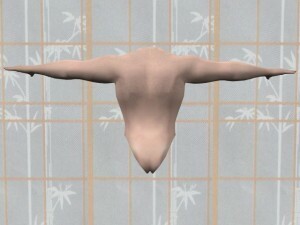 Both arms and the torso behave as one big connected piece. The black cylinder represents the spine that the back rotates around. 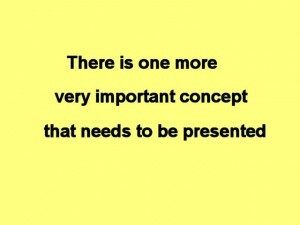 free to pivot around the spine. the left side of the back must rotate backwards. 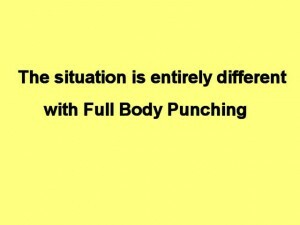 the entire body is involved in the punch. Here is a profile view comparison of the two different styles of punching. 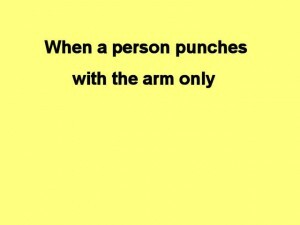 The first punch uses only the arm itself. The arm is then moved back into the ready position. When the person throws a full body punch, the punching arm and that side of the back move forward, as the other arm and that side of the back retract. 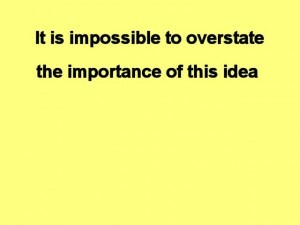 This object will represent an outside force. 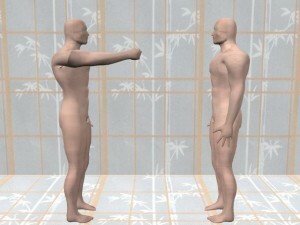 When the person punches with their arm only, the arm acts like this force is pushing it from directly behind. Here is the force object placed by the opposite shoulder. When the person punches with full body power, the arm acts like it is being pushed forward by the opposite shoulder. 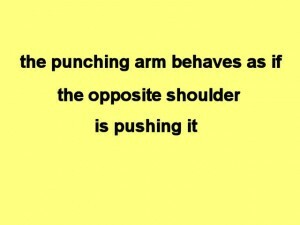 Just like the example punching arm extends while the other arm retracts.